Good!!!! ... It was nice! 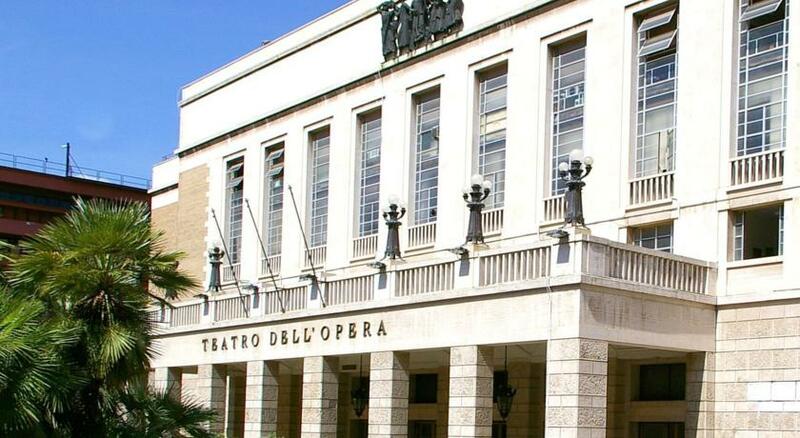 Few steps from the central Station Termini in the historical center of Rome. 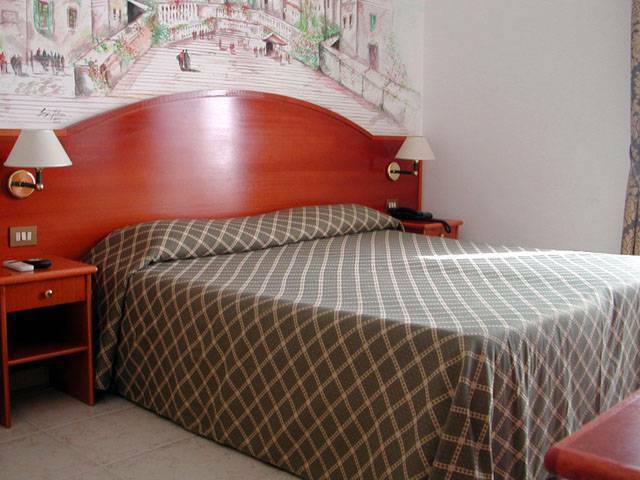 Nazional Rooms is a comfortable B&B, located in the heart of Rome and just a few steps away from the Air Terminal, Opera house, S. Maria Maggiore Basilica, Colosseum, Via Veneto and Roman forum. We are located in a fourth floor with elevator. The Nazional Rooms, offers its guests 6 sound proof rooms with private bath, color T. V, air conditioning, telephone, dvd player with free dvd collection, safe, and free wireless internet access. The rooms available are: single, double, triple or family version furnished ensuite bath, minibar and air conditioning. HAIR DRYER, DVD PLAYER, TV, AIR CONDITIONER. FREE WIRELESS INTERNET ACCESS. 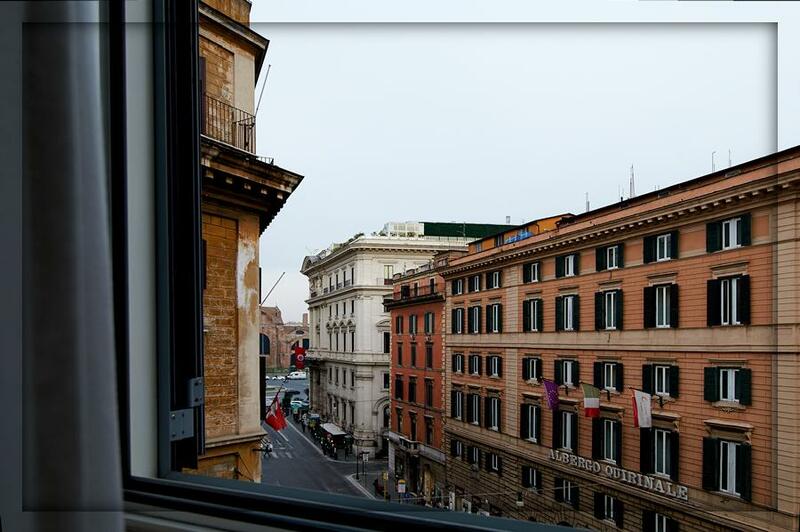 NAZIONAL ROOMS IS LOCATED IN ONE OF THE MOST FAMOUS STREETS IN ROME VIA NAZIONALE. FULL OF RESTURANTS, SHOPS AND BARS. BEAUTIFULL FOR NIGHT LIFE. ALSO VERY CLOSE THE MAJOR MONUMENTS LIKE THE FAMOUS ROMAN COLOSSEO, SPANISH STEPS, THE VITTORIANO. PAYMENT IS DONE DIRECTLY AT CHECK IN. IN CASE OF LATE CANCELLATION OR NO SHOW THE B&B WILL CHARGE THE FIRST NIGHT. 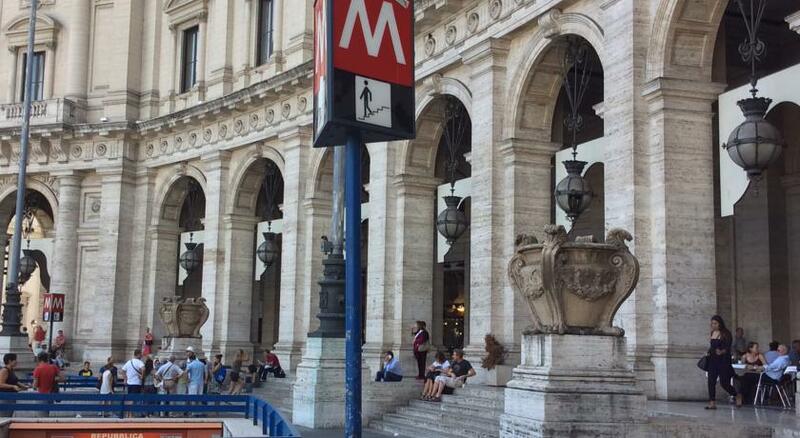 By Train : At the railway main exit, cross Piazza dei Cinquecento towards Piazza della Repubblica (you'll see a big fountain in the centre of the square) then turn left into Via Nazionale. Keeping the right side after Mel Book Store and Mc Donald's at number 249 of an ancient building you'll find Nazional Rooms. Go on the 4th floor until you see the sign of Nazional Rooms. If you want to get there by bus, lines 64 or 70 are just 2 stops away from the railway station. By Plane : With a taxi or a train/shuttle (Leonardo Express) up to stazione Termini. Fiumicno and Ciampino airports have fast connections to Termini railway station. One you get the station follow instructions as above. By Car : A1 highway towards rome. Exit Roma Nord if you come from north Italy and take the GRA (Grande Raccordo Anulare) then exit Salaria and follow the signs for city centre. If you come from south Italy exit Roma Sud and take GRA, then exit Appio S. Giovanni and follow signs to the city centre.